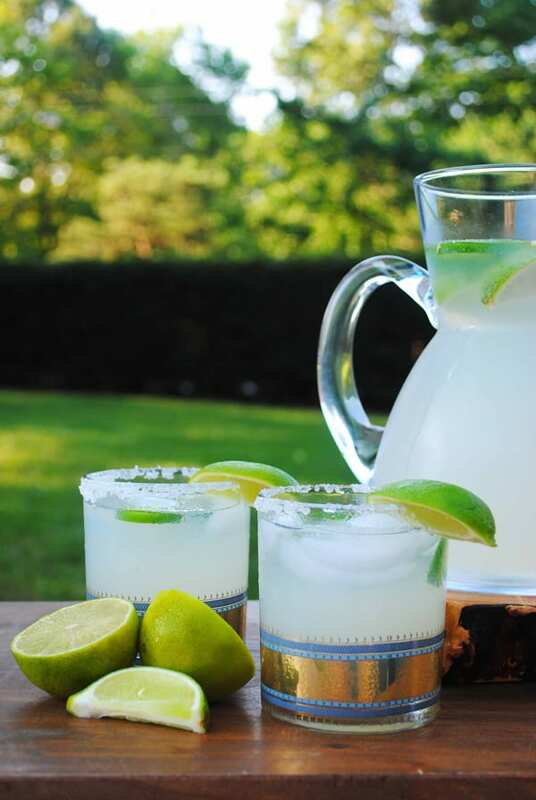 Nothing is a more refreshing summer treat to me than these Jalapeño Margaritas. I have shared this recipe with several friends who absolutely love them. The simple syrup is an added step in making this summertime cocktail but it’s an easy step that can be made weeks in advance. If jalapeños aren’t your thing simply leave them out and follow the recipe in every other regard for a classic margarita. The longer the jalapeños steep in the simple syrup, the spicier it becomes. I like to keep it in a mason jar in my fridge for weeks. Word to the wise, use only FRESH limes. They offer an incomparable flavor that you just CANNOT get from the canned stuff they sell at the grocery store. 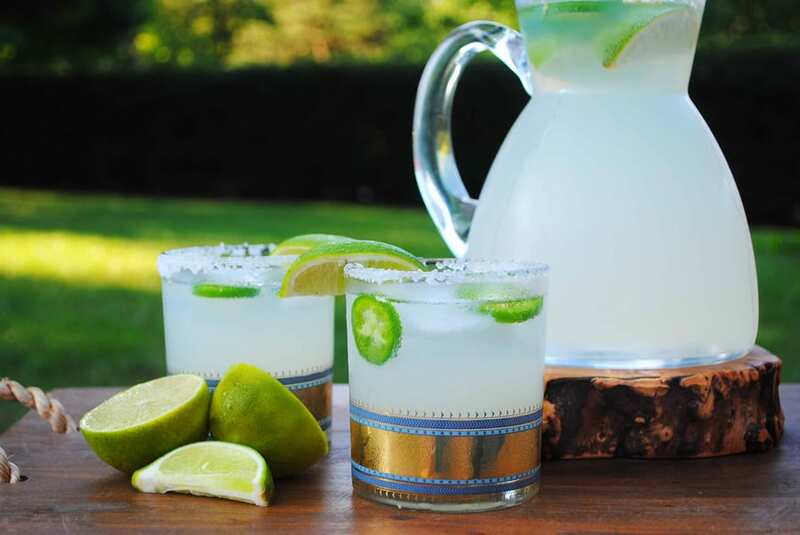 These margaritas are a refreshing summertime treat that can easily be made without the heat from the jalapenos to accommodate everyone's taste buds. Bring sugar and water to a boil over high heat on your stovetop. Once boiling stir until the sugar is dissolved and then bring it off the heat. Toss in the jalapeños and let the pot cool to room temperature before putting it in a mason jar with a lid (or any other covered container) and putting it in the fridge. Stir all ingredients except for the garnish together. Pour over ice into a serving glass. Garnish with the jalapeño and lime slices. Instead of salting the rim which I find to be too much sometimes I like to sprinkle some kosher salt straight into my drink. Couldn’t be simpler.